King David stated the above words many, many (many...) years ago. Wow! I wonder what he would say now if he saw the image above. I encourage grandparents (including myself) to not only pray for our current grand children but to also pray for our incoming grand kids. 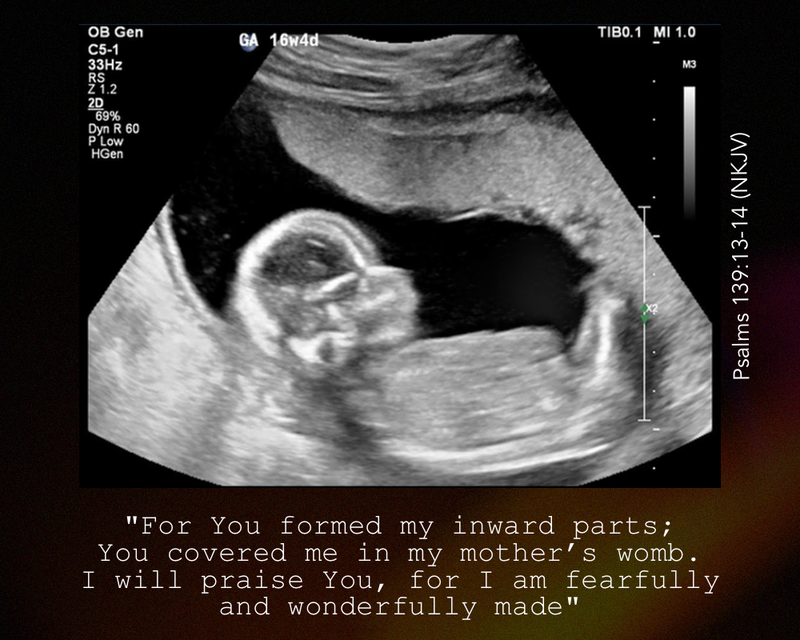 Pray that they would be moved by the Holy Spirit even now while they are being formed in their mother's womb. Let us pray for the incoming generation that they may come out ready and on fire for Jesus! John the Baptist was so on fire to serve our Heavenly Father that he didn't even get a chance to become born again. He was filled with the Holy Spirit while he was inside his mother's womb.1 That's awesome! Thank you Jesus for Your wonderful love and great opportunity that You've given us to serve You. We pray for the incoming generation that they may serve You as well and make that change for goodness (Your goodness) in this land. That change would be so apparent, they would even be called Generation J! 1 Luke 1:15 (ESV) "for he will be great before the Lord. And he must not drink wine or strong drink, and he will be filled with the Holy Spirit, even from his mother's womb."